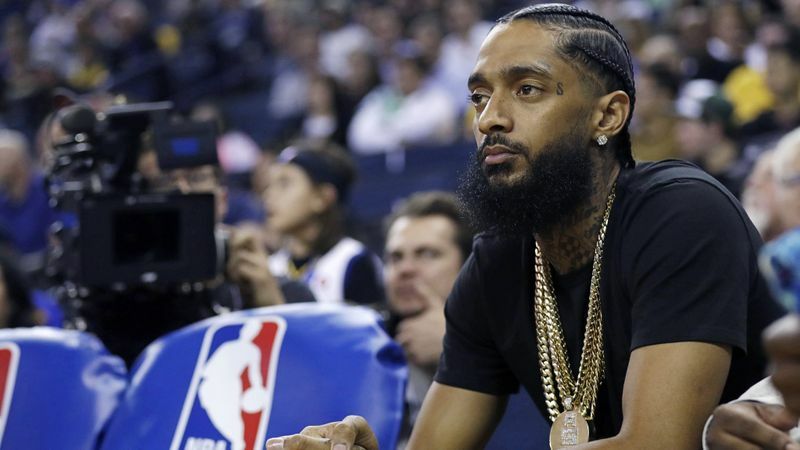 The entire NBA community mourned over the weekend when it was announced that Los Angeles rapper Nipsey Hussle (born Ermias Asghedom) was shot and killed outside his clothing store in southern Los Angeles. Asghedom was a noted fan of the NBA and was often seen sitting courtside at Los Angeles Lakers games, where Cleveland Cavaliers guard Jordan Clarkson began his NBA career. Following the Grammy-nominated rapper’s passing, Clarkson spoke out on how it impacted him personally and what needs to change to avoid a similar tragic loss in the future. Asghedom was seen as much more than just a rapper by his fans and those who knew him. He was dedicated to his community, and was part of a group of artists who helped develop Destination Crenshaw, an open-air museum devoted to honoring African-American artistic achievement. Clarkson remarked on his impact and the senseless gun violence that ended his life far too early. “He’s so important to the culture and it’s detrimental in terms of that,” Clarkson said. “In terms of everything, you have a black man that’s doing good for himself no matter his past or whatever he had done. In his own neighborhood, started his own business, had his own thing going and he gets shot on a Sunday. It’s almost embarrassing to our culture and to us as people that we would do something like that. The star guard went so far as to compare Hussle to iconic rapper Tupac Shakur, who was also killed at a young age due to gun violence. Clarkson also took to social media to speak out on Asghedom’s passing along with countless other NBA stars including LeBron James, Stephen Curry, Russell Westbrook, and more.